Lawyers and media group have faulted the bill before the Senate, which prescribed death by hanging for the offence of hate speech. Already, the controversial bill has passed second reading. Meanwhile, lawyers, among them Senior Advocates of Nigeria, who reacted to the development, said it portended danger for the country, with Professor Itse Sagay, SAN, saying the bill was unreasonable. Prof. Itse Sagay, Chairman of Presidential Advisory Committee on Anti-Corruption, PACAC, said the whole thing was extremist. Prof. Joseph Abugu, Professor of Commercial and Industrial Law, University of Lagos, described the bill as a betrayal of people’s trust. He said: “When government proposes draconian punishment for what one would otherwise consider menial offences, it is the first time of totalitarianism. Chief Robert Clarke, SAN, said the National Assembly would, with this bill, destroy the system more, adding that “the National Assembly is trying to disrupt the system more than how they met it. “What does that mean? If they can go to the extent of initiating a bill prescribing death sentence for hate speech, what about those people found guilty of corruption? “The bill to punish hate speech with death penalty is highhanded and outrageous. Death penalty has not deterred crime anywhere in the world and four fifth of African countries have stopped using death penalty. The centre in a statement by Lanre Arogundade, its chairman in Lagos, warned that if passed, the bill would crush the right of Nigerians to freedom of expression as guaranteed by the constitution of the country. Arogundade advised NationalAssembly to convene a meeting with stakeholders to determine what could be regarded as hate speech. 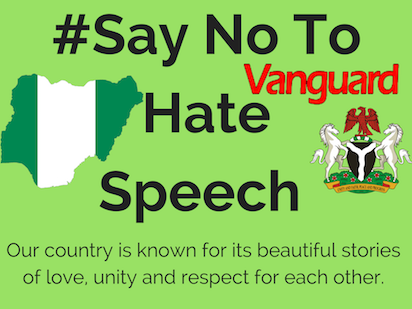 The post Hate speech: Lawyers, media group fault Senate on death sentence appeared first on Vanguard News. NYSC: National service or national scam?